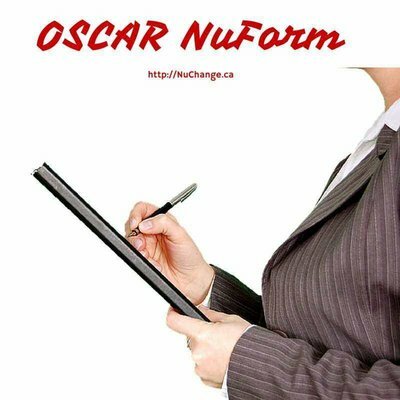 OSCAR NuForm - Create a writable OSCAR eForm in 2 minutes! Clinicians spend a large part of their work hours filling in paper forms. Forms are also used by public health services and insurance providers. Forms evolve with time and EMR providers cannot provide all the forms required for every use case in healthcare. Most EMR vendors implement templates for creating custom forms. These are called HTML Form Entry module and XForms in OpenMRS and eForms in OSCAR. The OSCAR eForms are arguably one of the most useful features of OSCAR and is being used in many settings beyond which it was initially designed for. Community eForms can be downloaded from the OSCAR Canada Users Society. In some cases, eForms are designed as a substitute for paper forms. Detailed analysis of the collected data may not be required. The forms may not have too much textual data. A typical example would be a pre-operative checklist. OSCAR NuForm is a new solution that I have developed for such use cases. NuForm is a server script that auto-generates touch sensitive OSCAR eForm and lets you download it. The auto-generated eForm has all the necessary code that allows you to ‘write’ on your form and save it to OSCAR. Yes, you can literally write on the eForm with your mouse or stylus (if you have a touchscreen device). Watch the video below to see OSCAR NuForm in action. I have not made it available to the public yet. If you think OSCAR NuForm will be useful to your organization, let me know. NuForm is based on LesionMapper. Please check out my innovative Ontario Billing module for OpenMRS. Update: Access OSCAR NuForm generator here!